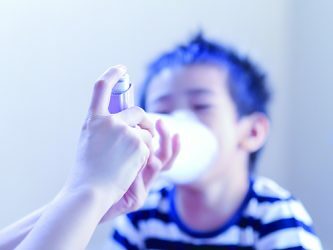 Being realistic about how patients use an inhaler and adopting designs that are as robust as possible is a valuable strategy for improving the efficacy of a therapeutic regime. 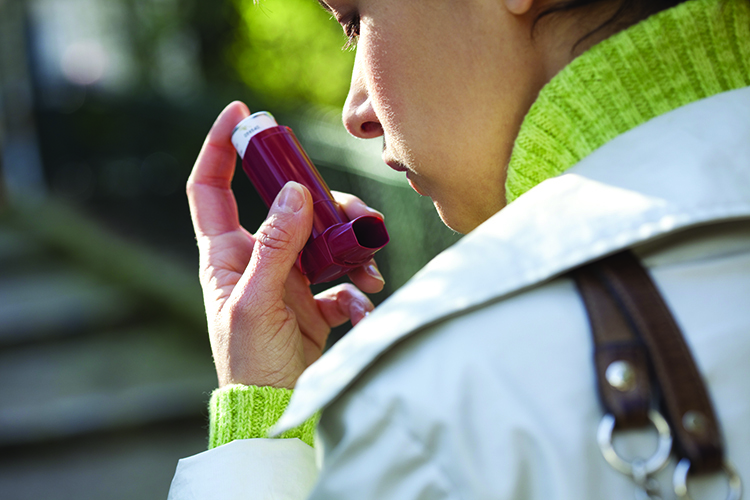 Metered dose inhalers (MDIs) are often the front line treatment for asthma, chronic obstructive pulmonary disease and other respiratory illnesses. In daily use, such MDIs are naturally cycled through different temperatures as the patient moves from home to work or school and/or engages in outside activities. Ensuring that the device remains primed, in a ‘ready to use’ state, in the face of what can be substantial and sudden temperature changes is important to secure a clinically effective dose each time it is used. 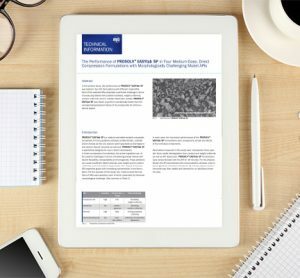 In this article we explore the mechanisms of ‘loss of prime’ of an MDI as a result of temperature variations. Experimental work demonstrates the effect of exposure to different temperature cycles for three commercially available MDIs, formulated with different propellants. The implications of the results for clinical practice, patient experience and product design are examined. MDIs are formulated as either solution- or suspension-based products and deliver a reproducibly metered dose of medication, aerosolized by an evaporating propellant. Most commercial devices operate in a very similar way to the original 1950s push-and-breath design and rely on a relatively simple operating principle. Upon actuation, the metering chamber of the device becomes closed to the formulation reservoir, and open to the atmosphere. This results in expansion of the propellant-based formulation and atomization through the actuator orifice. 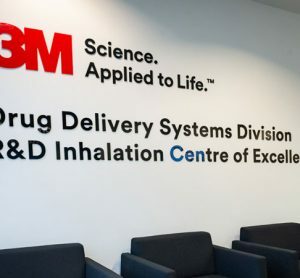 The resulting aerosolized dose contains a significant fraction of drug particles in the fine particle fraction range (which is typically defined as having an upper aerodynamic particle diameter limit of 5µm). A key component of an MDI is the capillary retention valve (Figure 1), which pre-meters the dose following actuation, preparing the inhaler for subsequent use. During this priming process, liquid formulation from the reservoir in the canister is driven through two capillaries, into the metering chamber, by the differential pressure across the valve stem orifice ports. The scientific basis for this design is sound, however, in certain circumstances opposing gravitational forces may exceed the capillary retention force (Rayleigh Taylor theory) causing drainage of the formulation from the metering chamber back into the canister1. Unless the MDI is re-primed prior to use, this effect can be a cause of erratic dosing. Figure 1: Illustrative schematic of Bespak BK 357 MDI capillary valve (diameter of capillaries A & B = 0.6mm). Exposure of the device to temperature changes also has the potential to influence prime by setting up temporary temperature gradients within the device. This is because the constituent components of the device are typically manufactured from different materials of construction and consequently heat up and cool down at different rates. A high thermal conductivity metal canister with insulating polymeric valve, for example, can result in the development of a high vapour pressure in the metering chamber, relative to the canister, which initiates drainage2. 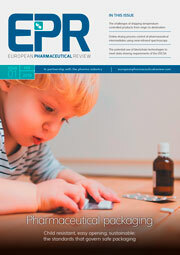 There is also evidence that such effects are influenced by the propellant used, with studies indicating that HFA 134a-based formulations may be more prone to loss of prime via this mechanism than those incorporating ethanol3. In the following studies, loss of prime as a result of temperature cycling was investigated for both HFA 134a formulations and those incorporating ethanol to elucidate these behaviours. 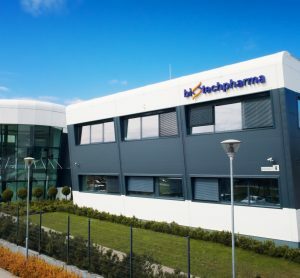 Experiments were carried out to investigate the response to temperature cycling of three fixed-dose commercial MDIs; Foster® (Chiesi), Flutiform® (Mundipharma) and Seretide® (GlaxoSmithKline)4. Each of these products contains an inhaled corticosteroid (ICS) and a long-acting beta2 agonist (LABA) and uses a capillary retention valve for dose metering. However, each is different in terms of: the specific valve used, the nature of the formulation (solution or suspension) and the propellant/excipient mix (see Table 1). Five units of each MDI product, all within their use-by-dates, were used for testing. Table 1: Summary of the container closure and formulation characteristics of three commercial MDIs used for dose retention testing. Two real-world simulation cycles were applied to assess the effect of temperature variation on delivered shot weight; a third simulation subjected the MDIs to cycling under more closely controlled conditions (see Table 2). Each simulation involved cycling the MDI five times between two different environments, with all MDIs consistently stored valve-upwards when not in use. Table 2: Temperature conditions for the environments used in product use simulations (n = 5). To establish baseline standard shot weights (SSWs), each product was actuated – according to guidance in the patient instruction leaflets (PILs) – into dose unit sampling apparatus using standard pharmacopoeia test methods for dose uniformity testing for MDIs. Unprimed shot weight (USW) was measured after each temperature cycle, five in total for each simulation, in an analogous way. Dose retention values were calculated as the percentage ratio of the USW to SSW. 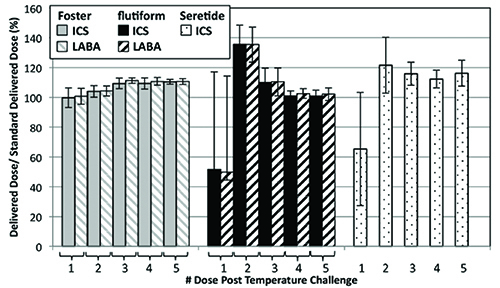 In addition, the delivered dose of ICS and LABA was measured for five consecutive doses after Simulation 3 and subsequent storage (with the exception of LABA measurements for Seretide®). Table 3 shows how the products vary in terms of dose retention as a result of exposure to temperature fluctuations. For the Foster® product, temperature changes of up to 15°C do not appear to affect USW/SSW, which remains constant throughout all three simulations. In contrast, the performance of flutiform® is only maintained during Simulation 1. When the temperature differential is increased to 15°C dose retention falls under both realistic and controlled conditions. With Seretide® the USW/SSW falls well below 100% as a result of the device being subjected to Simulation 1 and decreases further when temperature changes are increased to 15°C under realistic and controlled conditions (Simulations 2 and 3). Table 3: % dose retention (USW/SSW) following different temperature cycling simulations (n = 5). The more robust performance of Foster®, relative to the other two products, could be attributed to a relative high ethanol concentration (12%w/w), since this would concur with previous studies3. This explanation would also rationalise the intermediate performance of flutiform®, which contains 1.3%w/w ethanol compared with the Seretide®, which is an ethanol-free formulation. These results therefore suggest that the inclusion of ethanol as an excipient in an MDI formulation could aid the stabilisation of dose delivery with respect to temperature. Figure 2: Delivered dose of ICS and LABA following Simulation 3 as a % ratio of the standard delivered dose as specified on the product label (n = 5). Figure 2 shows how the delivered dose of the active ingredients in the formulation is affected by the closely controlled temperature cycling. Again, Foster® exhibits the most consistent performance with all of the ICS doses delivered to within 80-120% of the label claim. In contrast, the unprimed ICS delivered doses from flutiform® and Seretide® fall substantially below the label claim. The LABA data follows the same trends, where measured. Overall, for flutiform® and Seretide®, ten and eight doses, respectively, fell outside of the 80-120% label claim, with eight doses from the flutiform® product and five from the Seretide® falling outside of the 75-125% label claim (Table 4). Table 4: Number of ICS and LABA doses measured outside of label claim following controlled cycling (Simulation 3). ND = not determined. Interestingly, while the first unprimed shot following temperature cycling and storage delivered a dose lower than the label claim for flutiform® and Seretide®, the shot immediately following delivered a greater mass of ICS than the label claim. These results suggest that loss of prime is associated with the deposition of API in the metering chamber, which is then drawn into the subsequent dose as the metering chamber is refilled. The number of doses falling outside the label claim for flutiform® and Seretide® is also noteworthy since the United States Food and Drug Administration guidelines recommend that no more than 1/10 delivered doses should be outside of the 80-120% label claim, for acceptable dose uniformity. Clearly these two products must be primed prior to use in order to meet this guideline, and this is reflected in the Patient Instruction Leaflet that accompanies them: a patient is instructed to fire up to four (flutiform) or two (Seretide) priming doses before taking their medication (120 dose label claim). Furthermore, the flutiform PIL recommends priming not only before first use but also if the inhaler has not been used for three days or more, or exposed to freezing or refrigerated conditions. Seretide instructions are less explicit with regard to exposure to cold temperatures. 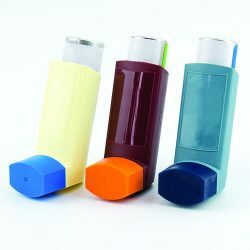 However, these products are designed to be taken regularly twice a day, rather than as rescue inhalers, so exposure to temperature fluctuations and associated loss of prime is far less likely to be an issue. Designing more robust inhaled products that maintain consistency when subject to the rigours of routine daily use is an important goal for the industry. 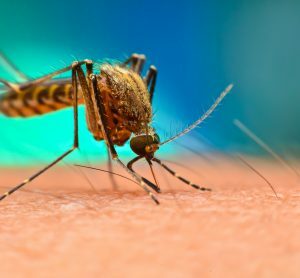 It is inevitable that patients will expose an MDI to modest temperature fluctuations, especially products that are used for acute symptom alleviation. The results presented here show that such fluctuations can cause dose drainage from the metering chambers of MDIs, loss of prime and the potential for sub-optimal dose delivery. This issue can be addressed by training patients to consistently prime an inhaler prior to use. However, the results reported here suggest that a more fundamental approach may be to manipulate formulation composition, most especially via excipient choice. Such findings open up a route to the development of MDIs that can perform more consistently and reliably in use, thereby offering more assured clinical efficacy. DR DAVID LEWIS is Head of Laboratory at Chiesi’s research centre in Chippenham, UK. He holds a BSc in physics (1989) and MSc and PhD in aerosol science (1990 and 1994), from Essex University. David established the UK Research Centre in Chippenham, which opened in July 2009. He has authored over 130 research publications within the fields of pharmaceutics, analytical chemistry and aerosol science, and is co-inventor of 30 patents relating to pressurised metered dose inhaler formulations and devices.